October 27, 2016 – MBA Capital Funding sucessfully arranged the acquisition loan for Luquillo Sunrise Beach Inn, located in Luquillo, Puerto Rico. Lynda Drehmer, Capital Markets Advisor with MBA Capital Funding arranged the SBA 504 loan for the buyer, a first time hotel ower. 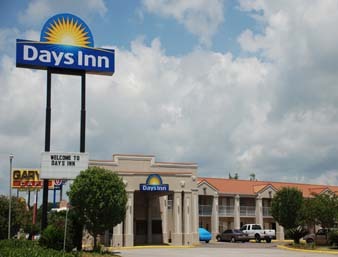 MBA Hotel Brokers Inc. represented the seller in this transaction and also procured the buyer. The Luquillo Sunrise Beach Inn is oceanfront on one of the most popular beaches in Puerto Rico, La Pared/ Luquillo Beach. Other perks of its location, are that it is twenty-six miles from the San Juan International Airport and 7 miles from El Yunque National Forest. The hotel has 17 keys, 3 stories, exterior corridors and was built in 2005 and renovated in 2012. This was a unique sale because in its current configuration it has just 17 keys and is smaller than most what hoteliers are looking for and it is also not affiliated with any franchise. However, the hotel has great strengths, as it operates with high occupancy and excellent ADR and has over $36,000 revenue per room. The hotel maintains its strong performance thanks to its very positive guest reviews and online ratings. The property ranks very highly on TripAdvisor among all hotels in Puerto Rico, fluctuating between #1 and #7 currently. The buyer has plans to expand the hotel by adding guest rooms in the adjacent house, included in the sale. In addition, there is a future possibility of expanding the hotel with a fourth floor, with up to 7 additional keys, which have already been roughed-in to the existing building, and in the near future, possibly adding the adjacent oceanfront house also owned by the seller. The buyer plans to improve the guest experience with upgrades to the FF&E. “The seller and buyer maintained professional patience through these delays which included multiple re-submissions and another delay while the SBA server was down. Despite these delays, both buyer and seller were motivated to complete the deal. In the end, we got it done. Both buyer and seller were a pleasure to work with and focused on getting to the transaction closing”. “We would like to thank both Charlie and Lynda for the exceptional service you both provided, it is not a stretch to say that the deal would never have been completed without your tireless perseverance under difficult circumstances!”. MBA Hotel Brokers Inc. has been advising on hotel transactions for over 20 years. MBA Hotel Brokers has a corporate office headquartered in Maryland and five additional branch locations. MBA Hotel Brokers Inc. has closed hundreds of hotel sales, in 27 states throughout the USA. For more information, contact Charlie Fritsch at Charlie@mbahotels.com or go to www.mbahotels.com. MBA Capital Funding's principal has over 30 years of experience and deep knowledge in securing commercial financing from banks, non-bank Lenders, and government secured Lenders. MBA Capital Funding Inc. has experience in various programs including the government-sponsored SBA 7A, SBA 504, and USDA B&I loans, plus Commercial Mortgage Backed Securities (CMBS) "conduit" loans, recourse and non recourse loans. We have experience structuring financing with a mixture of conventional loans and unconventional creative financing. Contact Lynda Drehmer at Lynda@mbacapitalfunding.com.